Great to see the fantastic results of the Myrtleville to Church Bay swim, which raised €1,197 for the RNLI and the Crosshaven Triathlon, which raised €10,000 for local causes. 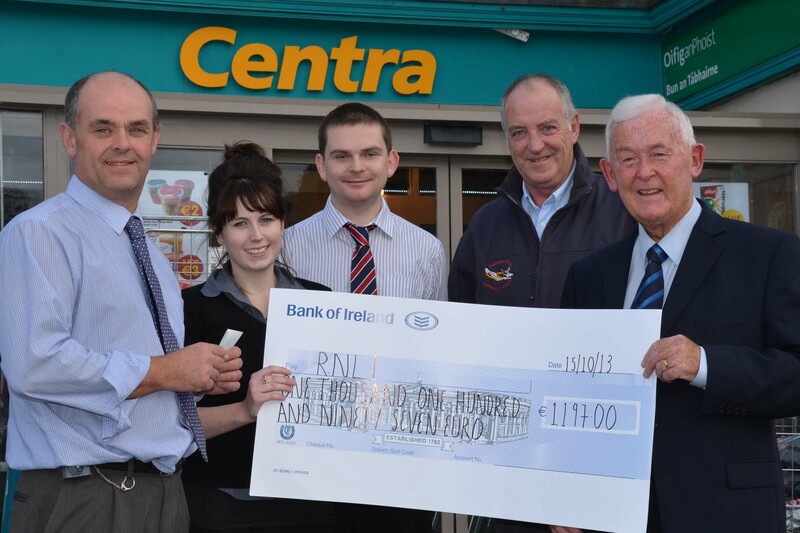 Bernard Lynch, Kate Heslin and Conor Middleton of Lynchs Centra Crosshaven seen presenting a cheque for 1197 euro to Alan Barton and Barry Woods of the Crosshaven RNLI following the recent RNLI Open Water 2k swim in Myrtleville. Picture: Howard Crowdy. 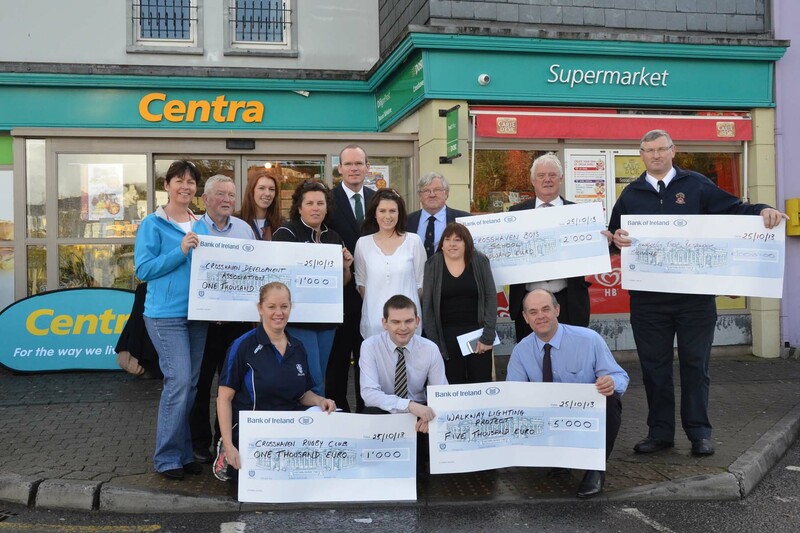 Cheques presented to representatives from the Crosshaven Rugby Club, Development Association, Boys School, First Response and Walkway Lighting project following the recent Centra Crosshaven triathlon challenge. Picture: Howard Crowdy. Well done to everyone who participated in and supported both events. This entry was posted in Events and tagged Open water swimming - Cork, Open water swimming - Cork - Ireland, Open water swimming races, Sea swimming - Cork, Sea Swimming - Cork - Ireland, Sea swimming races, Triathlon by myrtlevilleswimmers. Bookmark the permalink.